Together with writer James Roberts, Susan is the founder of Zoomorphic, the digital literary magazine that publishes work in celebration and defence of animals, and she is very happy to be poetry editor for the publication. Ten issues of the journal, featuring poetry, fiction, creative non-fiction, visual art and photography by an international range of contributors have already been published. If you’re interested in submitting work for consideration for future issues, please follow the guidelines on the website: submissions of prose are always welcome, while there tend to be several poetry submissions windows per year. In addition to publishing the online magazine, Susan and James recently edited Driftfish, the first Zoomorphic print anthology, dedicated to marine wildlife. They were motivated by the urge to celebrate the exhilarating variety of ocean creatures – from iconic mammals like the sperm whale to circumnavigating seabirds like the albatross to the smallest benthic organisms – while also bearing witness to the shattering reality of their plunging numbers. James and Susan have also started to curate Zoomorphic public events, including exhibitions, live performances and creative workshops. Recently, they collaborated with the ONCA Centre for Arts and Ecology in Brighton to create, in their gallery space, a marine wildlife-themed exhibition, featuring an installation of diving seabirds, paintings and digital audio poetry, plus a live performance to mark Driftfish’s launch. 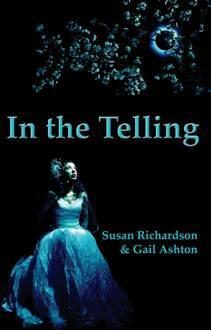 As an editor, Susan also much enjoyed working on In the Telling, an international anthology of narrative poetry, published by Cinnamon Press. When she and her co-editor, Gail Ashton, put out the call for submissions, they hoped to be surprised and intrigued by new versions of traditional folk and fairy tales, to be shaken and stirred by contemporary myths and urban stories, to listen to the voices of people past and present, as well as to the voices of places, landscapes and artefacts. They weren’t disappointed. Over four thousand poems arrived from all parts of the UK, the USA, Australia, Canada, India, Bangladesh, Italy, France…There were comic poems, tales of personal and global disaster, poems of love between all kinds of different beings, from Glaswegian teenagers to green peas! Image after image was spun, woven, unbuckled, unwrapped. The selection process was long and challenging, but both Susan and Gail were delighted with the resulting collection.